Arriving in Esperance, in the south-east corner of Western Australia, feels like you have arrived at the end of the earth. Lying over 700 kilometres from Perth, and a two-hour drive from the next established town, Esperance sits in isolated splendour on the spectacular south coast and has several unique attractions for visitors to enjoy. Over the past two years the foreshore by Esperance town centre has been transformed from a scrappy shoreline of grass and beach to a chic new waterfront featuring walking and cycle paths, planted areas, benches, picnic shelters, public barbecues, pieces of public art and, of course, beach access. It makes a great place to take a seaside stroll or pause for a picnic lunch with an ocean view. Constructed in 1934, the historic Tanker Jetty still stands proudly extending about 1.5 kilometres into Esperance Bay. Popular with locals and visitors for fishing, strolling and befriending the local sea lions that hang around in the hope of fish scraps. (UPDATE: The Tanker Jetty has been closed to the public for safety reasons and is due for replacement. Contact Shire of Esperance for more information). The only island of the Recherche Archipelago on which it is possible to stay overnight, during the summer months Woody Island is run as an eco-camping destination. Informative cruises transport visitors to the island where they can spend the day, or pitch their tents and stay the night. The island offers a real escape, with few facilities and no phone signal. Visitors must bring enough supplies for their stay. The island is home to skinks, sea eagles, kangaroos and sometimes penguins. Dolphins and sealions are often seen on the journey to and from the island. If you fancy a few weeks of island-living, apply to be a volunteer camp manager through Esperance Island Cruises. Esperance boasts some spectacular beaches that never get crowded, although during summer the locals might disagree as they are used to having the beaches to themselves. For squeaky-clean white sand head east to the Duke of Orleans and the beaches in Cape Le Grand National Park. If you want to meet kangaroos, head to Lucky Bay, where it is also possible to camp right by the beach. Some great shore-fishing can be had all along this coast but there are some especially athletic salmon along the beaches to the west of Esperance, beyond Twilight Cove, and the sunsets are good here too. Exploring the coast in four-wheel-drive vehicles is a popular pastime around Esperance. One of the best stretches is the trip from town to Cape Le Grand National Park. To complete this drive hit the beach on the East side of Bandy Creek Harbour and you can drive along the beach all the way to Cape Le Grand Beach. To access the other beaches in the park you need to follow the road network through the park. Dogs are not permitted in the national park, so if you have your dog with you watch out for the sign marking the point at which the beach becomes part of the park. To drive on the sand it is important to let some air out of your tyres, so it’s also a good idea to take a compressor with you to re-inflate your tyres. The waters around Esperance are teeming with fish. Fishing charters are operated locally, but great fishing can also be had from the various jetties in town, the Bandy Creek groynes and from the local beaches. Fishing from the rocks on this coastline is extremely dangerous. If you plan to go rockfishing seek local advice and follow the guidance on signage at the beaches. There are several bait shops in town where gear can be rented and bait purchased. Winter, while not being peak tourist season, is when whales visit Esperance. Humpbacks and, more commonly, Southern Right Whales frequent the local water during July and August each year where they nurture their calves in the shallow waters before heading back to Antarctica. They are commonly seen along the eastern beaches at Thomas River, the Cape Le Grand beaches, off Wylie Bay and have even been seen in Esperance Bay. They are frequently seen close to shore, apparently because they enjoy scratching their bellies on the sea floor! Read more about whale watching in Western Australia here. Do you fancy a purse made out of fish leather, or perhaps a belt, coin purse or jewellery box? Mermaid Leather is the only commercial fish tannery in Australia. Run by two locals, the tannery creates beautiful pieces of ‘fish leather’, which are then dyed and turned into beautiful items that make great souvenirs. Visitors can watch a video explaining production and it is also possible to tour the tannery. Watch out for the friendly tannery cat that enjoys a pat! Being so remote, Esperance offers endless wilderness exploration opportunities. There are several local government-operated campsites along the coastline, as well as those operated by the Department of Parks and Wildlife, in the national parks. Most sites have a toilet block, but some also have showers and public barbecues and picnic facilities. Campers need to take their own drinking water and food supplies. There are no free-camping sites in Esperance town centre, but there is a black water dump site on Shelden Road and parallel parking spaces are available just across the street from the main supermarket, on Windich Street. Esperance is surrounded by three national parks. About 60 kilometres to the east is Cape Le Grand National Park, near Condingup, and beyond that is Cape Arid. The journey to Cape Le Grand is especially spectacular in December and January as the road is lined with yellow-flowering Christmas Trees. Cape Arid is a vast park and home to the endangered Western Ground Parrot. Fitzgerald River National Park is about 150 kilometres to the west of Esperance, near Hopetoun and comes into its element during the Wildflower season in September. Yes, you read that correctly, Esperance has its own Stonehenge. An eccentric couple admired the local pink granite and decided to build an exact replica of Stonehenge on a rural lot on Merivale Road. To those familiar with the original structure, the crisp, straight-edged stones will look strangely new. Events are held to mark the solstices but visitors are asked not to perform any worship rituals. Along with Gibson, Scaddan, Grass Patch and Salmon Gums, Condingup is one of the satellite towns surrounding Esperance. Condingup is fantastic to visit as it combines vast open spaces, beautiful beaches and tasty burgers! It is easy to visit and drive around the townsite that has a small local school, a few residential properties, a pub (including a small general store), and a winery. Visitors pass Condingup on the way to the beaches at the Duke of Orleans, or heading out towards Thomas River or Cape Arid. 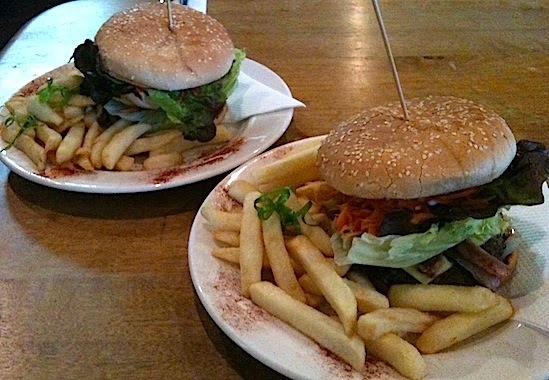 The wise ones stop at the Condingup Tavern for a ‘Condi Burger’. The burgers are enormous and warrant a special mention because they are very tasty, and packed with treats like bacon, beetroot, cheese and an egg. Yum! Agriculture drives the Esperance economy and the vast area farms, amongst other things, canola, wheat and beef cattle. The highlight of the Esperance year is the Esperance and District Agricultural Show, when the town sports grounds are taken over. Livestock is shown, local community groups, schools and companies have stalls, fairground rides appear, and food and drink merchants run a lively trade. ‘The Show’ as it is known locally, takes place on the third or fourth Friday and Saturday in October. Local schoolchildren are given the Friday off school to attend. If you’re interested in history and intrigued about how Esperance was founded and the lives of the original settlers you’ll enjoy a trip to the Esperance Museum. The Museum houses a large collection of artifacts ranging from general household items, artwork, historic photographs and an old pilot boat that used to guide ships into the port to chunks of Skylab that fell to earth (over Esperance) in 1979. A video guides visitors through the years, and there is lots of signage. Esperance Museum Village Markets are held frequently on Sunday mornings (but not every Sunday morning) near the Visitor Centre, and the local art centres show local and visiting exhibits. Esperance loves sport and several sports facilities are available to visitors, such as tennis, the gym and swimming pool. Some local sports clubs also welcome visitors, such as the Sailing Club, where it is often possible to join a crew for a Saturday afternoon sail around the Bay of Isles. Esperance provides a fantastic opportunity to get back to basics and enjoy the great outdoors. It is worth a visit for the incredible beaches alone, but beyond the beaches there are also lots of other unique adventures to be had. Have you been to Esperance? What would you add to this list?